Any antivirus solution is essential if you want painless enjoy in online content, so we decided to try one and we bring you Kaspersky Internet Security Multi-Device review . 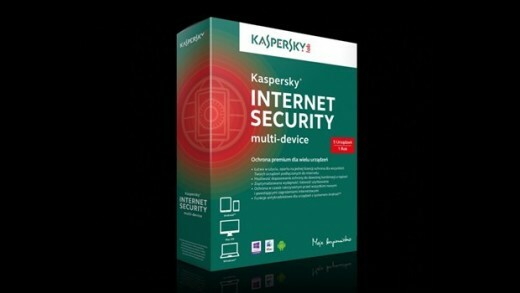 Kaspersky Internet Security Multi-Device provides simultaneous protection for personal computers, mobile phones and tablets. New security program Kaspersky Internet Security Multi-Device provides security and manages the security of users, regardless of the type of device used. According to research by company B2B International, titled ‘Global Brand Tracker’ in April of 2013th, the average household owns 4.5 devices connected to the Internet, which means that the days when the average family owned one or two PCs or laptops are past. The more devices users possess, the harder it is to manage their security, and regular updates. With Kaspersky Internet Security Multi-Device users are given a unique code to activate, with which they can protect multiple devices simultaneously, allowing them to make everyday life easier with multiple networked devices. In the basic version, purchase of one activation code at a price of $79.95, Kaspersky Internet Security multi-device will protect up to three devices, the company offers at extra charge and protection packages for four, five or ten different devices. Parental protection built into the security solution of Kaspersky Internet Security multi-device enables users of Windows and Mac supervision of children when they’re using the Internet. With this option, users can block access to Internet sites of undesirable content, limit the time kids spend on the Internet and to prevent accidental disclosure of personal information. One of the most widespread use of electronic devices today is an online purchase. Nearly 82 percent of consumers buying products on the Internet. Thanks to a number of integrated technologies in Kaspersky Internet Security multi-device, an online purchase is fully protected and secure. The Anti-Phishing for Windows, Android and Mac, Security Keyboard for processing financial data on personal computers and Mac, and with the technology of Safe Money for Windows provides enhanced security for online banking and payment systems such as PayPal and WebMoney. Kaspersky Internet Security Multi-Device is supplied in the form of installation disks for computers that run Windows or Mac OS X, and on android devices it is necessary to take the eponymous app. The activation code that you get bundled with an installation disc must be entered in the standard software on a personal computer, and also after downloading the Android app. The software after installation and entering the activation code get comfy on the computer and in real time quietly, without even any notice, monitor all activities and report only if you run into any of the threats. The software package, besides standard real-time protection also offers some extra features. Therefore you can activate the Safe Money, which will Kaspersky Internet Security Multi-Device ‘learn’ which online banking services use, in order to help that such activity is further protected, via Parental Control you will determine for which device, which Web pages are not accessible to minors; Aplication Control, through which you can block ‘suspicious’ application on your computer and add-called Network Monitor which will in real time show which application consumes how much Internet traffic. After a few days of use, we simply forgot about the existence of Kaspersky Internet Security Multi-Device on our personal computer, and the same impression is also for the Android tablet on which we tried it out. Kaspersky Internet Security Multi-Device does a good job and most importantly, it does a job quietly and we definitely recommend this security software to everyone.